Here at I. Franks we are very busy and excited as we get ready for the fair. Now in its sixth year, the fair is held in the heart of Mayfair on Berkeley Square. Lapada is the Association of Art and and Antique Dealers, which was once known as the London and Provincial Antique Dealers Association. All members of Lapada are experts in their fields and we here at I.Franks are proud and longstanding members. The Golden Chandelier is the symbol which represents membership of LAPADA. If you see this sign displayed you can be assured that you will be dealing with people who are members of an association which adhere to a strict Code of Practice which guarantees quality, knowledge and expertise. It is always a pleasure to meet so many visitors from across the globe and we look forward to doing so again this year. You will find us at stand A4, located at the front of the fair, so if you come along please drop by and say hello. Here's a flashback to our stand at the 2012 fair, with our own Daniel Franks looking dapper! Our stand this year will be showcasing a host of fine silver ranging from the rare and collectible to the simply beautiful and useful. Large or small, from Georgian to Deco and beyond, we hope to have something for everyone. 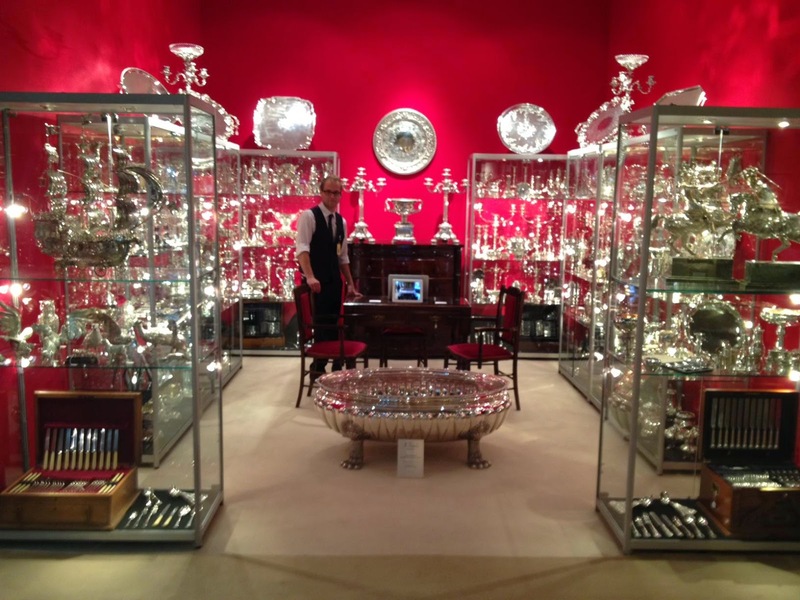 As well as our stand, offering the very best in antique silver, you can expect a whole wealth and range of antiquities from art to furniture and jewellery. 20,000 visitors passed through the fair last year and it continues to grow year on year. As well as the opportunity to browse and buy from the vast selection of objects on display, you can stop off to consider your purchases and rest your weary bones while enjoying a well earned glass of champagne or a full meal without having to leave the marquee. This year's fair takes place from 11am on Wednesday 24 September and closes on Sunday 28 September at 5pm.